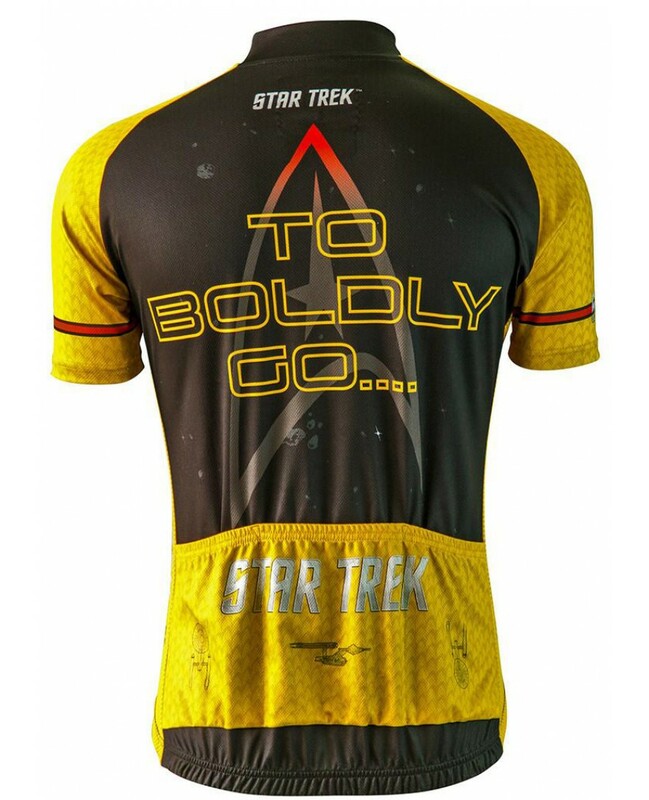 Boldly go where no cyclist has gone before! 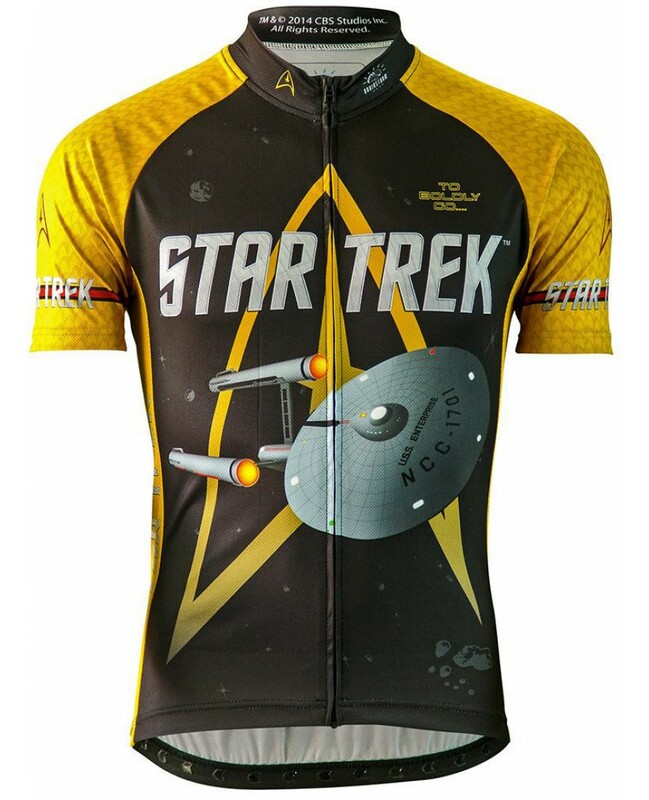 You'll command attention in the ONLY Officially Licensed Star Trek jersey this side of Rigel II. 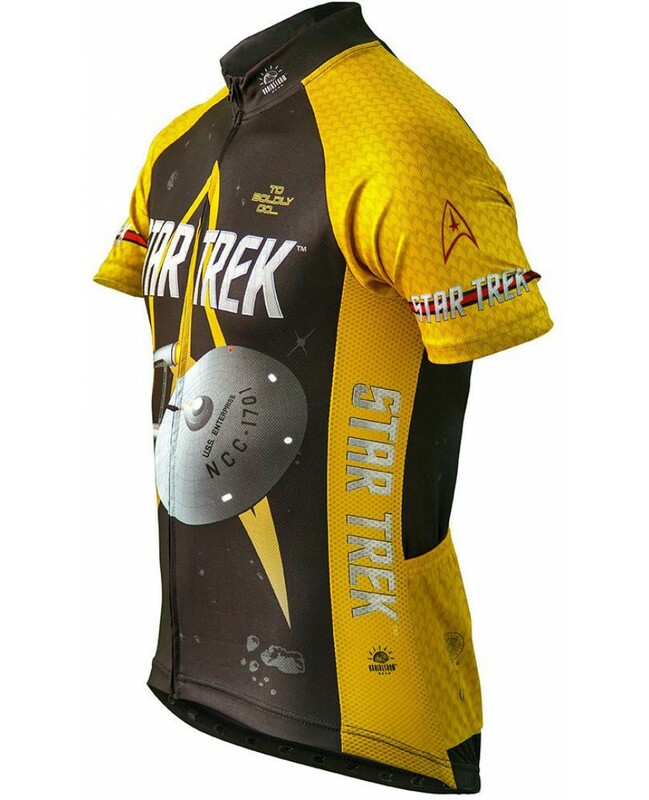 This striking gold Star Trek jersey features the original USS Enterprise & the pattern is made up of alternating Starfleet badges.Full Length Front zipper and three rear pockets for storage.